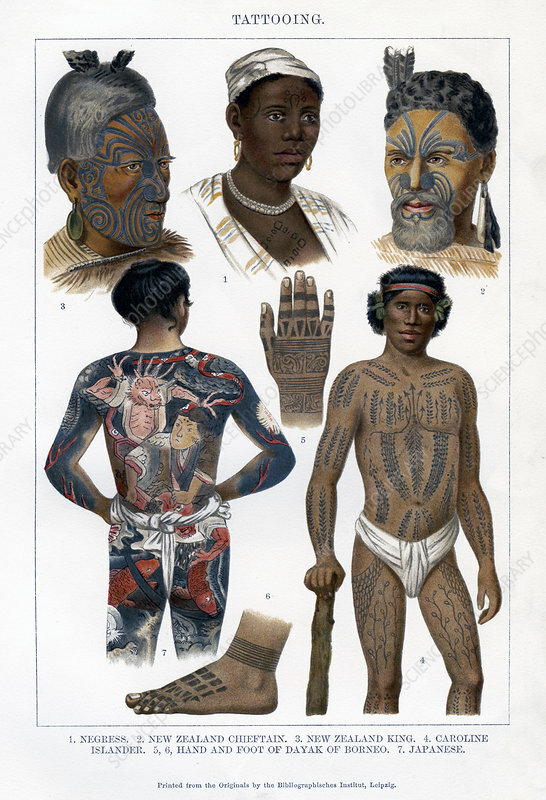 Tattooing', 1800-1900. Engraving to illustrate different tattooing styles from around the World. Negress, New Zealand Chieftain, New Zealand King, Caroline Islander, Hand and Foot of Dayak of Borneo, Japanese. Original print by the Bibliographisches Institute, Leipzig.